Blog2Social - Schedule post to social media like Facebook, Auto-post to Facebook, share blog posts to Facebook, Twitter, LinkedIn, google+, Instagram, PinterestHow do I re-publish old blog posts? Blog2Social enables you to not only share and post your Wordpress posts to Social Media but also re-publish your whole posts on blog networks like Tumblr, Medium and Torial. 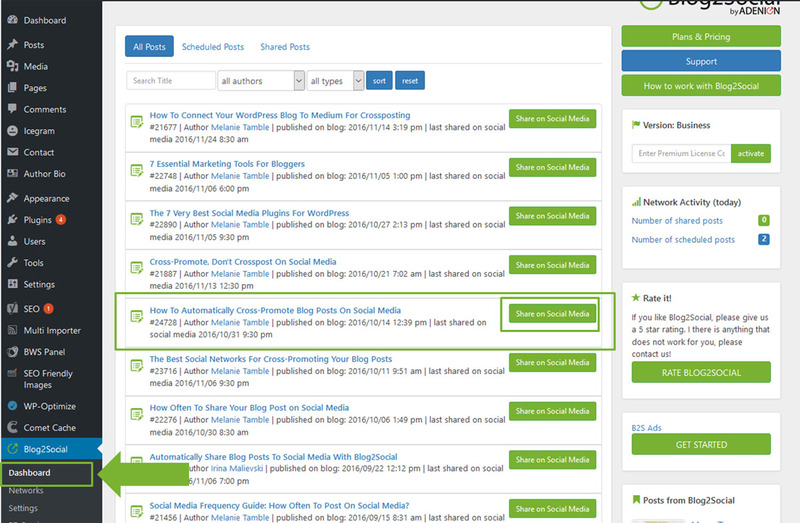 To do so go to your Blog2Social dashboard and select the post you would like to republish on a blog network. Then simply click on "Share on Social Media" as ususal. Blog2Social will forward you to the one-page-editor. 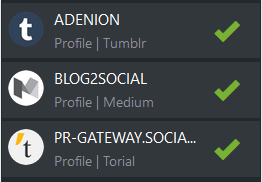 To re-publish select the blog networks Tumblr, Medium and Torial in the Sidebar. 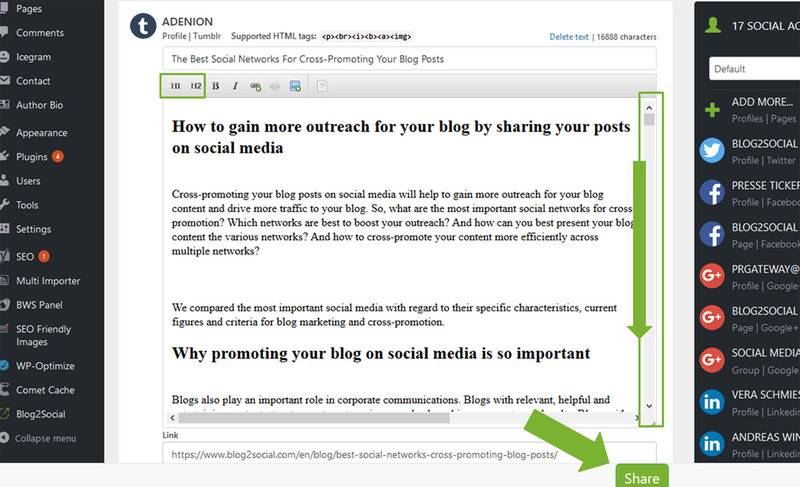 In the one-page-editor you will see that Blog2Social already automatically generated the posts text. Scroll down through the blog post to check whether you like the format. Or click on the buttons "h1" and "h2" to varry headings. When you have edited your blog post, scroll down and click on "Share" to re-publish your post.